It's Tuesday, and that can only mean one thing. 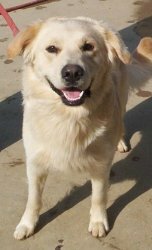 It's time for Petfinder.com's Tweet A Pet Tuesday! We have lots of new cuties who are ready for adoption, and we're thrilled to be able to show them off for all to see. To get the party started, here are two of the cutest of the cute, pups Kiersten and Viv. 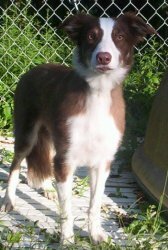 On the subject of border collies, meet Riley. 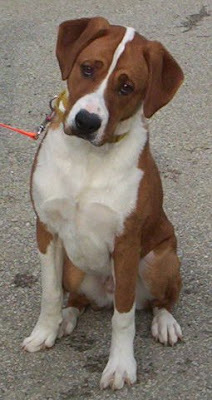 This handsome and inquisitive guy is about 4 years old, and he is waiting for his forever home. It's hard to resist the friendly face of Camille, don't you think? 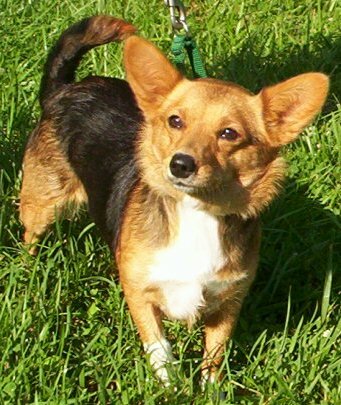 This sweet little girl was born at Circle Tail back in December, and she would make a great addition to any home. She is already trained, and loves to do just about anything! 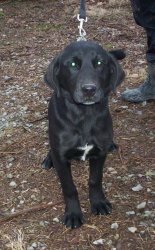 Up next, Nigel, a charming black lab who is about 2 years old. 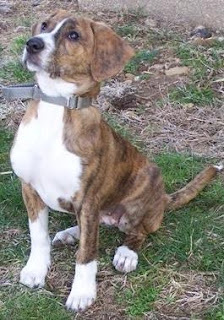 Nigel is already house trained, neutered, and up to date on his shots, so he's good to go. 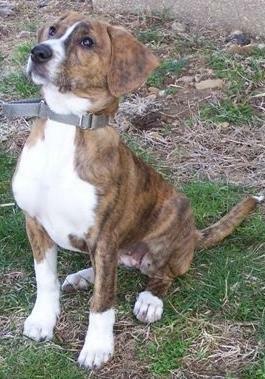 All he needs is a home! Last, but definitely not least, Miss Geena. 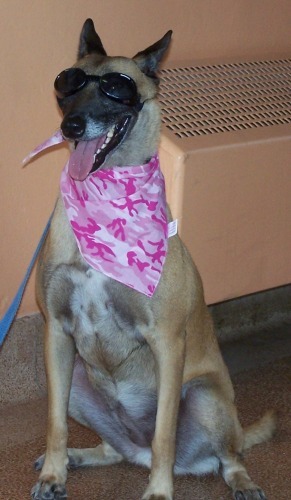 Geena is described as a "people pleaser," and those who know her think she would make a wonderful therapy dog. She is about 5-7 years old, and just needs a loving home to live out her golden years. These are just a few of the wonderful dogs and puppies we have available for adoption here at Circle Tail. To meet the rest of the gang, and to learn more about these cuties, visit our adoption page here. 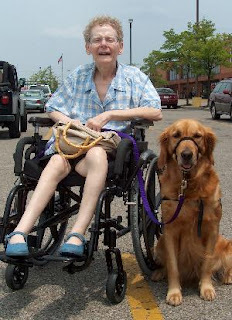 As Assistance Dog Week comes to an end, we are shining one final spotlight, this time on some of Circle Tail's most special dogs, the retired assistance dogs. These guys and girls have worked hard to change the lives of their partners, and they deserve nothing but the best in retirement. Here are a few of the Circle Tail dogs who entered retirement after a lifetime of service, and a job well done. 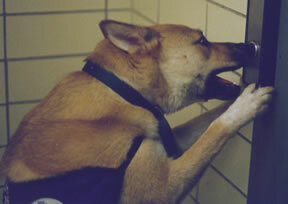 First up, Chester, shown here hitting the button to open an elevator door. 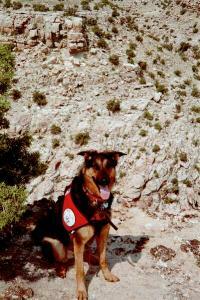 Up next, hearing dog Sydney, wearing her service vest while hiking in Utah. 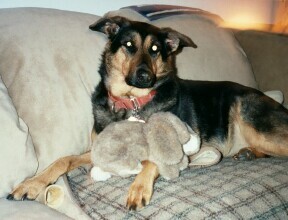 And hanging out on the couch with her bunny. 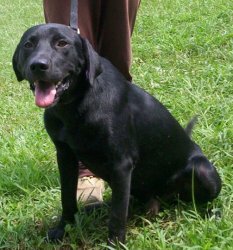 And, last but not least, Jesse, who was Circle Tail's second retiree. 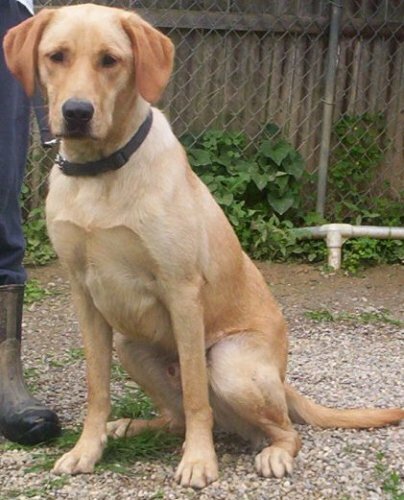 Jesse was trained as a seizure response dog and, among his other skills, he was trained to pull an alert card out of his partner Greg's pocket when Greg was having a seizure. Jesse would then give the card to anyone he could find in order to get help for Greg. 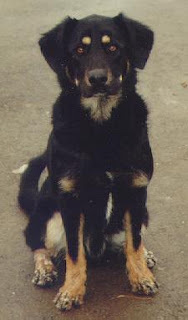 To read more about these special dogs, click here. 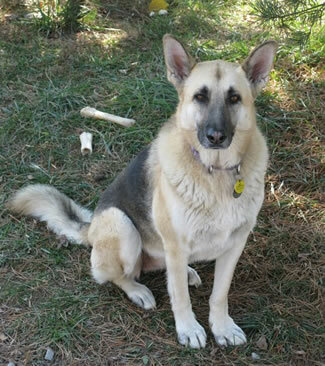 In addition, Angie, the former partner of Sydney, set up a retirement fund in Syd's honor. 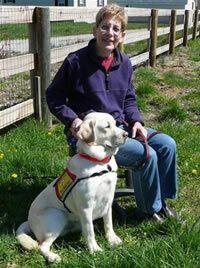 This fund helps to cover the veterinary care of Circle Tail's retired assistance dogs. If you would like to make a donation to this fund, click here. This ends our special Assistance Dog Week coverage. Visit the Circle Tail Assistance Dog Program page to learn all about the program, and to meet more working dogs and students. The Circle Tail dogs thank you for your interest! 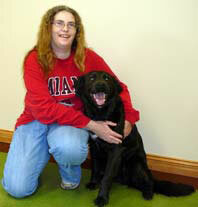 As part of International Assistance Dog Week, we are turning our attention to our Circle Tail students. These dogs are in training to be assistance dogs, and they can tell you that this is no easy task! 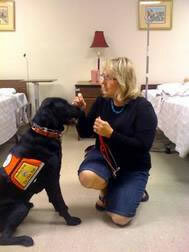 The dogs go through four general levels of training before they are partnered with an assistance dog recipient. 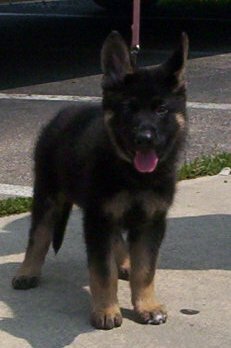 Just like human students, the dogs progress through elementary school, middle school, high school, and college. Here are some of our current students! We want to give a big round of applause, and a chorus of woofs and cheers, to these exemplary students, and extraordinary dogs! It's International Assistance Dog Week, and we are celebrating by shining the spotlight on a few of the fabulous Circle Tail assistance dogs. 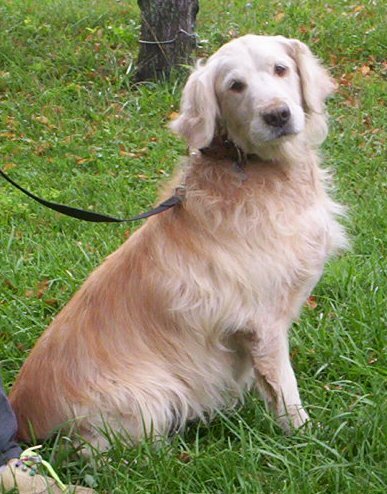 First up, Coda, a beautiful golden retriever who has been partnered with Marlene since 2006. 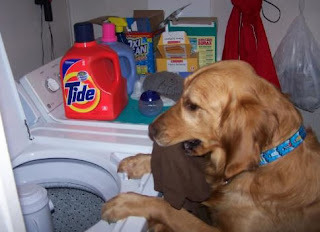 Coda works hard to help Marlene around the house and, as you can see from this photo, has a special talent for laundry! 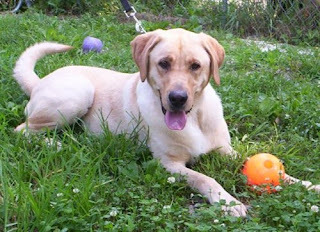 This handsome yellow lab was partnered with Barb in 2009, and he does double duty as both a service dog and a hearing dog. 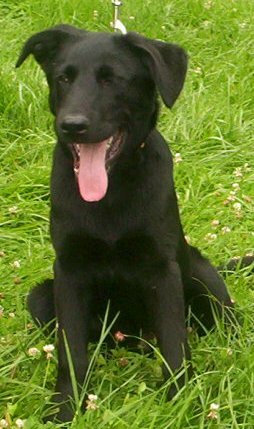 Barb states that Pierre is a great ambassador for assistance dogs, as his goofy smile has made him a popular guy wherever he goes. Way to go, Pierre! Finally, in our last spotlight for today, Yen. 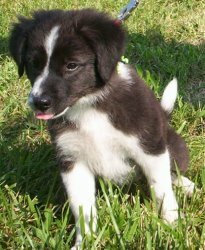 Yen the border collie was donated to Circle Tail from the Humane Society of Clark County, and he is certainly a great example of a rags to riches tale. This former shelter dog now helps his partner Angela with anxiety issues and panic attacks, and Angela calls him an "amazing gift." It's pretty clear from his big smile that he loves both his work, and his life with Angela! These are just three of the extraordinary assistance dogs that once called Circle Tail home. 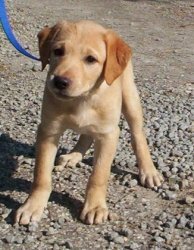 Check back all week as we continue to celebrate International Assistance Dog Week, and let some other assistance dogs, including those in training, strut their stuff! As always, we have plenty of adorable adoptables here at Circle Tail. 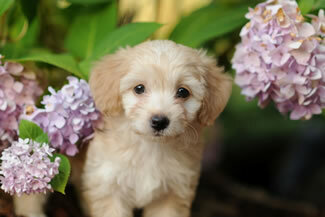 If you've been thinking about adding to your family with a new furry friend, now is the perfect time! It's hard to resist these cuties, all of whom are currently available for adoption. Click on each dog's name to learn more about them! These are just a few of the precious pooches who are waiting for their forever homes. 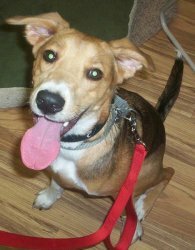 Visit the Circle Tail Adoption page here to see the whole gang, and to learn about our adoption process. As you can see, we have girls and boys, small dogs and large dogs, and, in the case of Tank the Newfoundland, very large dogs! These are just a few of the four-legged friends who are waiting for homes at Circle Tail. To view all of our dogs, and to learn about our adoption process, click here. You may just find your new best friend! 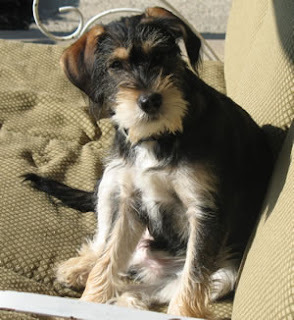 Mauser's mom writes that he is a real comedian, and loves to make people laugh. He "tickles" necks with his beard, and loves the laughter he gets in response. He is also quite a "talker," and always tries to sweet talk his way out of mischief, something he gets into quite a bit. Mauser's family is thrilled with how much laughter Mauser has brought to their home. In addition to his human family, Mauser has a canine sister named Fleagle. He adores Fleagle, and loves snuggling with her and giving her kisses every morning. He is a love bug! As Mauser's mom writes, "We love him so much and can hardly imagine how we ever lived without him.... We thank you so much for bringing this wonderful dog into our lives." 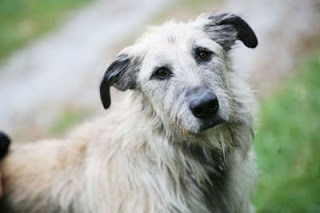 Visit Circle Tail's Dogs for Adoption page to find your own canine comedian and new best friend! We have a bunch of sweeties who are waiting for forever homes. Meet Bliss, Camille, Pask, Phillips, and Sparks. 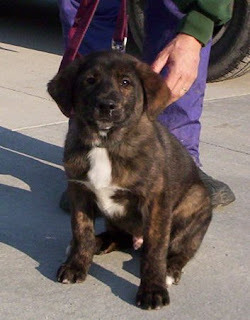 Do you have room in your home, and in your heart, for one of these cuties? Click here to learn more about these wonderful dogs, and to meet the rest of Circle Tail's current adoptables. Circle Tail is holding a summer picnic for all members of the Circle Tail family, both human and canine! Please come to Circle Tail on Saturday, June 11 from 2-5 for an afternoon of food and fun. Lunch will be provided, and dogs are invited to play (and show off!) on Circle Tail's agility equipment. Click here for all the info, and plan to come and join the fun! 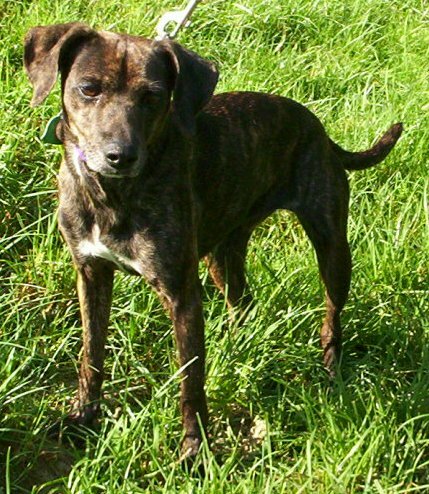 Roxie's mom writes that Roxie is a "sweetheart," who can be quite demanding when it comes to being petted. She loves being petted so much, she will nudge her mom's arm to signal her to let the petting begin. She also loves her canine sibling Tilly, and the two of them run around so much together that they are hazardous to the grass on their lawn. It's clear from this picture though that Roxie and Tilly also love relaxing together. This is the life! Roxie's mom sums the family's feelings up best. "I can't begin to thank you and Circle Tail enough for allowing us to bring Roxie into our lives." I'm sure Roxie is very thankful for her family, too. 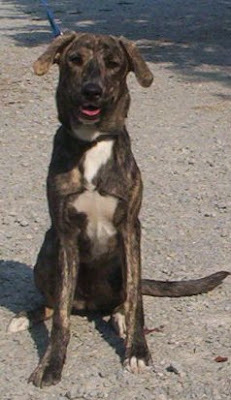 Keep enjoying your new life, Roxie! Mario was partnered with Gerria, a former firefighter and paramedic, in September, 2010, and now lives with her in Kentucky. 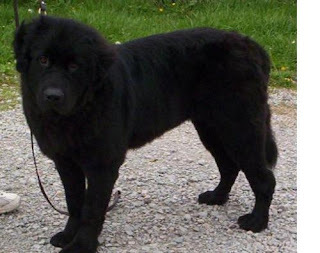 Gerria reports that Mario has adjusted well to his new life, and is a blessing. She writes, "Mario is my hearing partner and has become very special to me... Due to my past career as a firefighter and paramedic, I have significant hearing loss. The hearing loss has affected me in ways you cannot even imagine. I have 5 grandchildren and a school full of EMT, paramedic, and other medical related students who need my attention, sometimes very quickly. Mario is quick to tap me very softly on my leg to let me know someone is calling my name, which is very important in my business. Mario also retrieves items I drop because I cannot hear it when the item falls to the ground. This can mean losing my car keys, medical equipment, money, or important paperwork, just to mention a few items. Mario has quickly adjusted to Asbury College, our students at Emergency Medical Training Professionals LLC, grandchildren, and life on the run in Kentucky!" 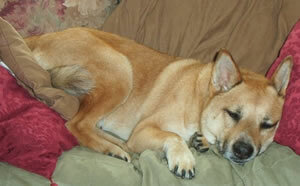 Ella's family writes that within a week of her homecoming, Ella was out of her crate and had the run of the house. 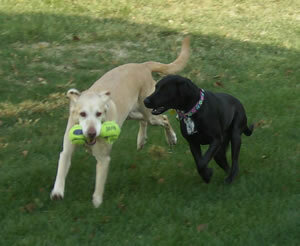 She is best buddies with her sibling Yukon, and it looks like the two of them have the run of their yard as well. Ella and Yukon play and wrestle constantly, and Ella couldn't be happier. Ella's owner writes "It has just been great we are so happy. She is a part of our family."